Vendor Spotlight- Top Gun Supply! I first met Tom Allen at the SHOT show seven or eight years ago. At the time, Tom had a small-ish firearms/accessory business in Chesterland, Ohio. 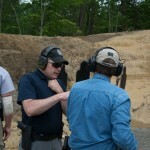 Tom and I made some small talk and he told me if I ever needed any SIG Sauer® related stuff to give him a shout. I got home and needed a set of sights a few weeks later, and went onto the Top Gun Supply website and ordered a set of Meprolight Night Sights for a P220. I remember I ordered the sights on Monday. They got to my door on Wednesday. Whoa. That was quick. Over the years, I’ve watched Top Gun Supply grow into the largest supplier of SIG Sauer parts and accessories. Tom and Michelle have dedicated much to the SIG Sauer line of products. Their growth seems to be linked to three things. A great selection, fair prices, and world class customer service. Over the years, as I have ordered more stuff from them, I’ve noticed that the trend that anything I order ships within hours, not days. I’ve ordered stuff on the weekend, and it has shipped before I roll out of bed at the crack of 0830. On the rare occasion I have needed customer service, they are always easy to communicate with, and fair. They also seem to genuinely want to stock the things that shooters want all under one roof. An interesting factoid that Tom shared with me was that during the great boom on 2013, Top Gun actually did not experience growth in profit. It is the side affect of those who refused to raise their prices and gouge. Wait, wut? Top Gun didn’t raise their prices to gouging levels like many businesses did (IE the $100 PMags that some dirt people advertised and sold). Once their products were sold, Top Gun ran into the same resupply issues that everyone else in the business did at the time. While it was a good month or two, the rest of the year was not all that until supply evened back out. The businesses who charged $100 for a PMag, or $60 for a box of 9mm ball don’t deserve our business. Places like Top Gun do. Top Gun Supply is an amazing organization. Tom and Michelle started it as a small business, and now they have 17 employees and are looking at expanding to more stores. 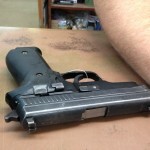 If you are looking for an expansive line of products at good pricing, check out Top Gun Supply. https://opspectraining.com/wp-content/uploads/2014/09/top-gun-supply-logo.png 142 250 Jerry Jones https://opspectraining.com/wp-content/uploads/2015/11/opspec-training-logo.png Jerry Jones2014-09-17 12:26:332015-11-17 10:57:07Vendor Spotlight- Top Gun Supply!